Cut your Ethernet cable to a desired length using the wire cutters. Use the crimper tool to strip approximately half an inch off the plastic jacket. One side of the stripper will cut completely through the Ethernet cable, and the other side will only cut through the jacket. Don’t press down to hard on the tool, or you can nick some of the eight wires inside. Slide the boot on, this step is easy to forget so you might as well do it now. Spread out the 8 wires to the correct pinout shown in the picture to the left. 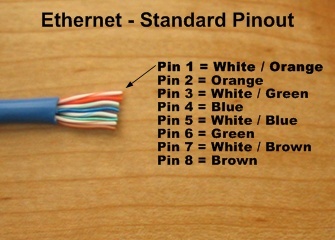 RJ45 pin 1 will be white-green while pin 8 will be brown. Make sure the wires are close together so they can slide easily into the RJ45 interconnect. Slide the cable and wires into the RJ45 interconnect. 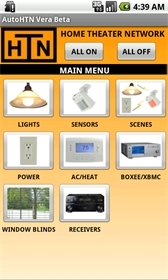 The interconnect has a built-in guide to separate the wires. Make sure you have the correct color going to the correct pin. Lastly, make sure all the wires slide in all the way so the metal contacts in the RJ45 interconnect will crimp down on all the wires. This step gets easier with practice so don’t get too frustrated the first time. TIP: pull the wires out a little after you arranged them in order, then use the wire cutters to cut a little off the ends in a way to make all the wire lengths are even. This will make sliding the wires into the RJ45 interconnect easier. 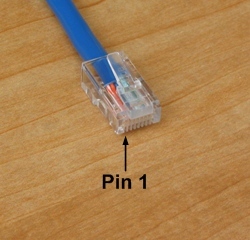 Using the crimper tool, slide the RJ45 interconnect into the correct slot, and crimp the connector. Slide the boot on to finish the connector. Test the cable to make sure it works.